Posted January 10, 2018 by barton_secure & filed under Security Guards. There are stories of homeowner associations and other groups hiring security guard company to patrol the grounds because they were worried about teenagers vandalizing their gazebo and playgrounds. Things didn’t go well when problems happened but the guard was nowhere to be found– what was he doing? Where was he? Why didn’t he check that area like he was supposed to? These groups quickly found out the guard wasn’t doing his job well, and they needed to hire a different, more effective “on the ball” company whom they could trust. 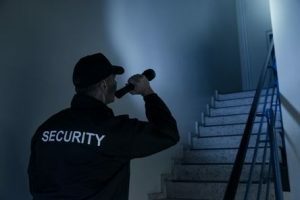 Should you ever be in the position of hiring a security guard from a security guard company like C.O.P., there are some very good questions you should ask before signing on the dotted line. First, ask if the company is licensed with New York State in the Department of State, Division of Licensing. If they are, that means their guards have had background criminal checks. It also means their guards are screened and documented during the recruiting process. Also, ask if the company monitors their guards. This is really important. Guards shouldn’t just be able to go rogue, doing what they want when they want, answering to no one. Guards should have some supervision and keep track of their whereabouts and daily duties. Does the security guard company employ GPS tracking in order to monitor guards on duty? Do they communicate via phone, computer, or other ways? Another good question to ask is this: “How long have you been in business?” Obviously, it’s nice to work with companies that have been around a while, since they know the area and its people better than newbies do. Finally, inquire whether or not the guards provided are armed or unarmed. Want to ask C.O.P. Security these questions and more? Call 585-750-5608. Posted December 5, 2017 by jbarton_secure & filed under Security Guards, Security Services. With all the bad news on the TV and Internet daily, some people might just want to stay home permanently and become hermits. Can you blame them? If it’s not news of a truck running over people on the streets of New York City it’s yet another school shooting in small town America. This holiday season, what are some ways you can avoid security issues? First, consider Facebook, Twitter, Snapchat and other social media accounts. Sure, these are “great,” but they also tell people all about you– who you are, where you are, what you’re doing, etc. Moreover, sometimes people who mean you harm can latch onto your information and use it against you. Case in point– if you post pictures of the new diamond necklace you bought, thieves will now know you have it and they might want to come get it. Or if you post that you’re away from home in some exotic locale, thieves might decide, “Hey, they’re gone. Now’s the perfect time to break into their house and rob them blind.” So, be careful about what you post online and when you post it. Next, if and when you’re away from home, do what you can to monitor your place. There are ways to do this, from having a trusted neighbor check it, to asking security firms or law enforcement agencies to periodically check to make sure your place is secured. Some smartphone apps allow you to view your home even when you’re miles away. Practically speaking, if you have expensive, valuable items at home or at work, lock them up. In the old days, people were more flashy– women would parade around in fur coats. Men loved driving their overpriced cars to the supermarket. These days, however, you can’t be too careful with what you’ve got– the less attention you draw to yourself, the safer you’ll be. At holiday time you need to be very aware of your surroundings at all times. Have your key ready to open the car or house door rather than fumbling in a pocket or purse to find it. Install lights that go on at entryways so you don’t come home to total darkness outside your house. Put the number to the police in your phone so that it’s easily accessible should you need it. Avoid places where you feel all alone. When people do approach you asking you to buy things and such, tell them a firm “No thanks,” and briskly walk on rather than engaging them for a long period of time. If someone is making you feel uncomfortable, in a parking lot for example, look toward another person nearby, wave them down as if you’re old friends, and walk over toward them– a good excuse to get out of a potentially bad situation, right? Finally, anytime you feel unsafe and there’s a security guard around, go to him or her. Security guards are your allies. Posted November 2, 2017 by barton_secure & filed under Security Guards. Security is employed to offer protection against theft, vandalism and, in some cases, people involved in violence or other dangerous behaviors. Security is often called to “keep the peace” at a place, whether it’s an office building, retail shop, or public event. When there are several security guards involved in working somewhere, they require a security supervisor– their boss. 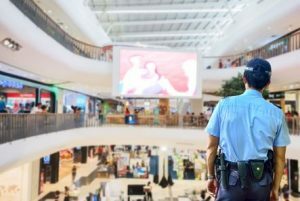 Security supervisors may serve different functions, from purely administrative to actually walking the beat on patrol duty. They’re the person others report to with their questions and concerns. They’re the ultimate decision makers, too. Generally, a security supervisor works their way up in the ranks, starting out as a security guard, police officer or military officer. They utilize their skills, experience and expertise over the years to rise up to the place of being in charge of a team of guards. Because supervisors need to know more than guards, they may be called upon to learn everything they can about more advanced things like electronic monitoring systems. They may need more training and more certificates than the average guard, showing that they’ve studied and put into practice several aspects of the job. Besides having a valid driver’s license and no criminal record, security supervisors often hold bachelor degrees in certain subjects, such as electrical engineering or computer science. Supervisors are often overseers. For instance, if guards have to transport accused people somewhere, the supervisor is in charge of that situation. 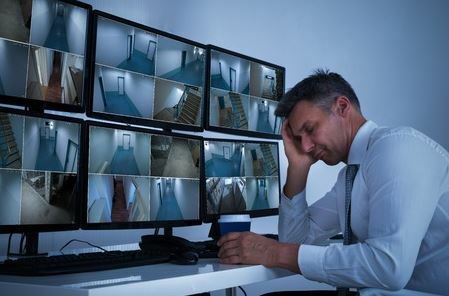 Alternatively, if the guards work at a certain building, the supervisor may be in charge of making sure everyone is on the same page when it comes to safety plans. He or she may lead safety drills, for example. A supervisor needs to be a good communicator, able to speak well, write well, and, of course, listen. As a manager, he or she uses critical thinking skills to observe what’s going on and then make the best response. Security, in general, is a growing field. More and more security guards and supervisors are needed in the coming years. All you have to do is check your Facebook feed, online newspapers, or TV to see that the world is increasingly less safe and people feel the need for protection now more than ever. If you’re in need of experienced security guards in the Rochester, NY area, contact C.O.P. Security today. Posted October 12, 2017 by barton_secure & filed under Security Guards, Security Services. Security guards often deal with uncertainty. They have to rely on their judgment to make good decisions. Safety is of utmost importance. Ideally, guards need to be decent communicators as they’ll be talking with people, listening to people, observing people and places, and writing reports about what they saw. 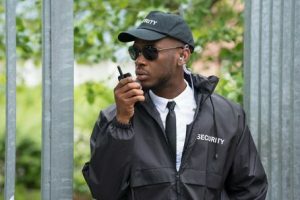 What are some common duties of security guards? They’re typically doing surveillance, whereas they’re watching the comings-and-goings of people to-and-from certain places. Furthermore, they may be called to consistently interact with people, having them produce identification, fill out paperwork, and/or searching them for any weapons or other items not allowed in certain areas. 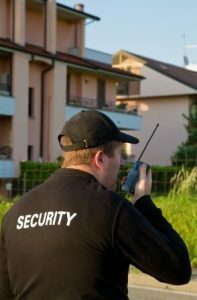 Security guards often go “on patrol,” which could mean they walk around a property checking to see if everything’s going well and as intended. Sometimes guards will use bikes, golf carts or cars to go on patrol, depending on the terrain and venue. While on patrol, guards often check surveillance equipment (such as cameras in the field), while also inspecting access points, buildings, and other things someone is paying them to pay attention to. Depending on the time of day and the venue, guards may interact with lots of people or none at all. If and when they need to, a guard can “sound the alarm” to alert others that there’s trouble. They may be the one to “call for backup” or call the police. A guard is always looking for things out of the ordinary that may require more attention. Are there trespassers located in areas where they’re not allowed to be? Are certain people not following the rules and need to be talked to/ejected from the premises? Are policies and procedures being followed? Security guards are often involved in loss prevention. In other words, they want to be the watchful eye over property so it doesn’t get stolen. Typically, guards end up becoming de facto direction-givers, as people will ask them how to get to certain places. They are monitors of their environment, helping control the flow of people so that order is maintained. COP Security Inc. out of Rochester, New York, employs security guards with a wide array of skills and techniques to cover areas and businesses as needed. From camera surveillance to foot patrols or vehicle patrols, COP Security can provide you with the kind of security options you’re seeking; please call 585-750-5608 for more information. Posted August 29, 2017 by barton_secure & filed under Unarmed Guards. You own a business and want that business to thrive. You don’t want people stealing from or harming your business. Ideally, your business is a peaceful, calm place with a sense of order and security. Consider hiring an unarmed security guard from C.O.P. Security for your business. 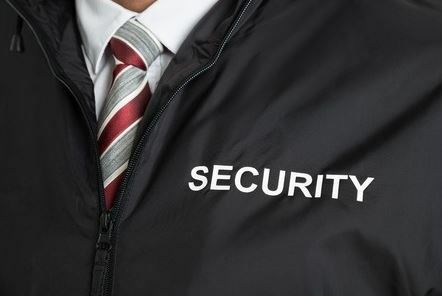 To ensure the overall safety of your business, which includes physical property, employees, clients and visitors, it makes sense to hire an unarmed security guard. He or she is an affordable set of eyes who can watch over things for you. A guard can offer people directions so they know where to go (and where not to go) as well as serve as a “go-to” contact should any conflict or problem out of the ordinary arise. Armed guards may cost more because they have to be licensed and trained to carry firearms. What happens if their gun accidentally goes off, for whatever reason, and hurts or kills someone at your business? Obviously, that’s not the ideal situation. Therefore, for most businesses, unarmed guards make the most sense. If you have a business that’s in a “low-risk environment,” then unarmed guards’ skills and expertise will do well to help resolve occasional conflicts and keep your business safe. For instance, having an unarmed guard on duty helps deter theft and vandalism. People “up to no good” would rather go somewhere that’s not being watched! A kid with a spray can will think twice before tagging a building that has a uniformed security guard patrolling the grounds. Furthermore, having a guard on the premises of your business acts as a sign that you care about the safety and well-being of everybody on the property. Having the guard interact with people provides a sense of calm and peace that puts them at ease. It’s reassuring knowing that someone is watching over the room, building or property– they’re there “if they’re needed.” Guards can also help with crowd control. C.O.P. Security can provide businesses in Western New York (including Buffalo, Batavia, and Rochester) with unarmed security guards as needed. Please call 585-750-5608 or email rbarton@copsecuritycorp.com for details. Posted August 18, 2017 by barton_secure & filed under Security Guards. How can a person working as a security guard become better at his or her job? Well, like most jobs, continuous learning is ideal. If there are workshops to attend, new information/methods to learn, and/or certificates to obtain you might as well get all the knowledge you can. A well-informed, well-educated security guard will be more valuable to any company he or she chooses to work for, and others will appreciate the acquired knowledge of a smart and perceptive guard. People skills can always be improved. A lot of the job involves communication skills– how you interact with other people will help determine how effective you are at the job as well as how people respond to you and your commands. There are ways to tell a person what to do whereas they’ll comply, while there are other ways where they’ll just blow you off. The more you can practice looking and sounding authoritative (with some compassion and empathy as needed) then the better you’ll be as a security guard. The job involves knowing when to “take charge” and lead people as well as when to just observe and record what happens around you. The more aware a person is of their community the better a security guard they’ll be. Take, for example, someone asked to guard a famous person in the community. If they know who this person is and who their friends are, that’s a good thing. The worst mistake a guard can make is telling a beloved family member they can’t “go in there” to see the person they’re guarding simply because they don’t know the ins-and-outs of “who’s who” in a person’s inner circle and such. Also, knowing the “news” of an area can help with planning, logistics, routes to take, etc. When a guard has access to a solid mentor that’s a real win-win situation. A mentor is someone who can offer guidance, advice, and act as a sounding board. Furthermore, a mentor can give constructive criticism in order to help the mentee become better over time. Security guards should be relatively fit and able to perform the physical aspects of the job. Work on your body to make sure you’re prepared for all situations. Finally, a security guard should be open to change– flexible enough to adjust their routine as needed. Being open-minded and avoiding the mistake of making assumptions helps a lot in the long run. Posted August 9, 2017 by barton_secure & filed under Security Guards. Having a set routine is good for many people, but it can get, well, boring after a while. This can happen to workers in a wide range of industries, including professional security guards, who may end up seeing the same things (or people) in the same spots day in and day out. Interestingly, security guards have to be “ever-ready” should something out of the ordinary occur, which can be stressful, but they may have to deal with monotonous work, too at certain jobs. Security guards often do repetitious tasks. They may work overnight when there’s “not much happening” around them, but it’s their job to protect the premises. It can be easy to get a bit bored. If security guards want to avoid boredom on the job they need to mix it up a bit, giving themselves some mental and physical variety. Simple exercises can help the body stay more alert. Maybe try a couple jumping jacks once an hour or at least stretch your arms and legs. Anytime you can move your body, do so, as it’s good for your circulation and can help avoid a stiff neck and joints. If you’re always guarding one spot, for hours on end, ask to switch with another guard so you’ll be somewhere else, seeing something different– that definitely helps relieve boredom. Also, anytime you can do walking patrol versus sitting at a desk, take it! Security guards also do well when they commit to eating more healthy foods both on and off the job. Rather than getting a sugar high from soda pop and doughnuts (which is followed by a crash), a switch to celery, peanut butter and green tea with natural caffeine can make a guard feel and look better all-around. Mentally, to combat boredom, guards can make up their own observational games, counting things around them, taking note of what people are wearing (for instance, how many people are wearing blue jeans within view during a 10 minute period), and using pen and paper to write down frequent notes about what’s being observed. These activities help engage the mind. C.O.P. Security offers dependable private security for several Western New York counties; please call 585-750-5608 today for more information or email rbarton@copsecuritycorp.com. Posted July 27, 2017 by barton_secure & filed under Security Guards. As a security guard, your job is to keep the area you are protecting as safe as possible. This means that you should always be on high alert when you are on duty. It also means that you should patrol your area on a regular basis and in random intervals. This will ensure that the property you are patrolling is safe, regardless of whether you are in charge of guarding an event, a hotel, a construction site, or someplace else. Here are some other helpful tips you should keep in mind while on foot patrol. Before you even set foot on the job site, you should make sure that you have a comfortable pair of shoes to wear while on patrol. You would be surprised by how many security guards don’t think about this at first and then find themselves searching for a place to sit when they’re supposed to be out walking around. Uncomfortable shoes can prevent you from doing your job to the best of your ability. Make sure you’re carrying your defensive gear at all times. Some security guards are allowed to carry guns. Others rely on Tasers. And many are only permitted to carry flashlights and walkie talkies while out on patrol. Regardless of what you’ve been told to carry, the key is to make sure you have it on you at all times when you are working. Even something as simple as a flashlight can help scare off criminals, so it’s important for you to have your defensive gear on you while you’re patrolling the premises. Walk different routes when you are on patrol. There are many security guards who will pick a route during their patrol and stick to it. They fall into the habit of walking this same route every day or night. And while this makes life easier on them, it also makes it easier for a criminal to pinpoint where a guard will be at a specific time. By switching up your route every time you walk it, you can make things more unpredictable and prevent a criminal from picking up on your habits. The security guards that are employed by COP Security are highly skilled when it comes to providing protection. They are trained to protect properties, and they will leave you feeling safe at all times, regardless of what kind of property you operate. Call us at 585-750-5608 today to learn more about our foot patrol services. Posted July 11, 2017 by barton_secure & filed under Security Guards. When most people think about a security guard, they think about a man or woman standing patrol with a weapon by their side. And while some armed security guards do carry guns, tasers, and other types of weapons, you also have the option of hiring security guards who won’t carry weapons. Event organizers who want to promote a family-friendly environment often want security guards without weapons, and this is a possibility for them. Most individuals and companies hire security guards because they want the protection they can offer. Protection is one aspect of a security guard’s job, but in the bigger picture, it’s important for security guards to practice crime prevention so that they don’t have to offer up protection at any point. Security guards can prevent crime by patrolling events, keeping a close eye out for signs of trouble, and making their presence known. It helps security guards prevent problems from popping up in the first place. In the past, most security guards used their eyes, ears, and, in some cases, weapons to prevent crime and protect people from it. These days, they have way more tools at their disposal. From high-tech alarms to complex screening devices, these tools can help them to do their jobs more effectively and keep you safe. 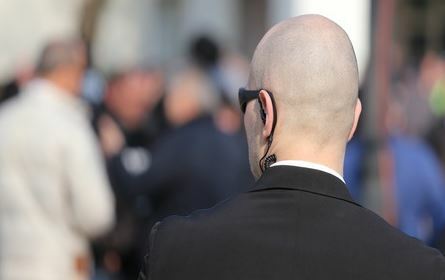 COP Security can provide you with a wide range of private, event, and corporate security services. 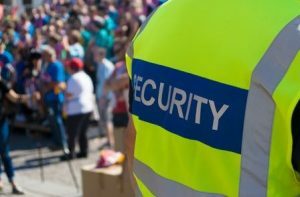 Whether you want one armed guard to stand at the door of your business or a large group of security guards to work an event, we can help you out. Call us at 585-750-5608 today for more information about our top-notch services. What Do Security Guards Carry on Their Person? Posted June 6, 2017 by jbarton_secure & filed under Security Guards. Security guards use a variety of tools to get their job done. If you were thinking of becoming a security guard, you probably wondered, at some point, what kind of tools you would use. Whether you’re controlling access to certain areas, protecting people and/or property, or you’re on the lookout for any suspicious or potentially illegal activities, you need certain tools to accomplish the task(s) at hand. As for the basics, most security guards end up carrying a flashlight with them. This not only comes in handy at night, when it’s dark outside, but also during times when the power goes out. Also, if it’s a large event or facility, security guards tend to use two-way walkie-talkies and/or mobile phones to be in contact with fellow guards and/or supervisors. Depending on the nature of the job, security guards may or may not carry handcuffs with them, which can be used to subdue and/or detain others if needed. Other security guard basic tools can include a first aid kit, fire extinguisher, and alarm/whistle for use during emergencies. Though you may not think of clothing as part of “tools of the trade,” a security guard’s clothing plays a significant role in his or her job, typically holding and/or concealing tools, which can include masks, gloves, pepper spray, guns, etc. 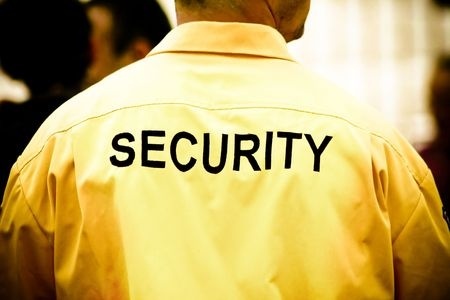 Typical security guards’ clothing includes a uniform with the label “Security” on it, complete with a hat, jacket and badge. For surveillance, some tools a security guard might use include binoculars, listening devices, and some sort of vehicle. Guards have been known to do their jobs via car, van, bike, scooter and, yes, even golf carts. Guards also typically work with closed-circuit TV systems, looking at monitor screens to cover many areas at one time. For those who deal with crowds coming into venues, X-ray equipment, metal detectors, “wands,” and scanning devices are some of the tools employed. Should a guard need self-defense, their weapons may include pepper spray, batons, tear gas, gas masks, and, of course, specially trained security guards may have guns. In many cases, security guards wear bulletproof vests. When involved in administrative tasks, such as filling out reports, security guards deal with computers, word processing software, printers, and copiers. Meanwhile, keys and/or passcodes are used all the time. These are just some of the tools security guards may use on the job. If you’d like more information about the tools COP Security uses to get the job done, call 585-750-5608.